A giant ash tree Yggdrasill stood in the center of the nine Norse mythical worlds. Buddha meditated for weeks under a banyan tree before he obtained enlightenment. One of the first oracle of Zeus was a whispering oak tree. Depending on where you are, trees could have many different symbolic meanings. Today, let’s take a look at some fascinating tree symbolisms in Chinese culture. This evergreen tree symbolize longevity because it can endure severe weather. Bacause of its hollow center, bamboo is resilient and less susceptible to breakage. It can bend but not break. To the Chinese, this characteristic corresponds with the ideals of a Confucian scholar - strong, yet modest and flexible. Plum trees usually blossom during the first month of Chinese lunar calendar years. Therefore, it symbolize hope and courage because it bravely stands against the danger of winter. 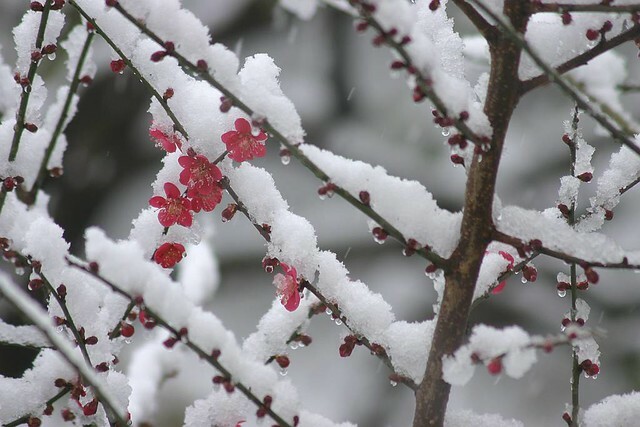 Pine, Bamboo, and Plum are known as the “Three friends in Winter” because they do not wither during the cold weather. Together they symbolize unwavering friendship and remarkable perseverance. As if it was bowing, a willow tree symbolize humility. An osmanthus blossom/tree can symbolize preciousness or superiority because its pronunciation — gui— is the same as another word which means valuable or nobility. Just like how an Osmanthus comes to represent preciousness, a cypress symbolizes plentiful because it shares the same pronunciation (bai) as the word “hundred”. The money tree is a legendary tree from which coins fall down when shaken. It symbolizes wealth and good fortune.